The new Spring Colorado Omega Peaks is here! Add your comments to the Discussion Post regarding the Bylaws and Standing Rules Team recommendation to change the word "Omega" to "Colorado" in all state documents. The Colorado Fine Arts Gallery is here! ​Submission Guidelines are listed in the Gallery. Has your chapter seen the Revised Template for Chapter Rules? 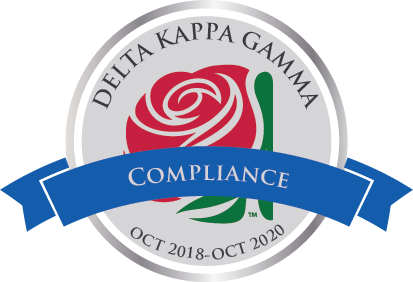 Have you seen the latest Get Connected newsletter from DKG International? Many thanks to the Communications and Publicity team for creating this wonderful brochure which chapters can download and customize with their specific information. This is a terrific informational tool we can use to reach out to Key Women Educators!